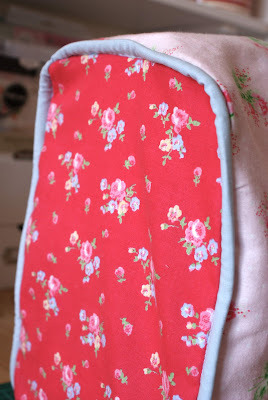 keeps my little sewing machine all nice and tidy and dust-free! but I'm not so sure, (i only used a little tape here, so i can take it off again?)... what do you think? Oooh thats lovely and I like the flower. 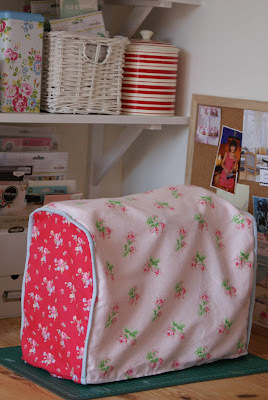 I think it's really pretty - a great finishing touch! oh lovely! and so is your blog! I just spent far too much time here! 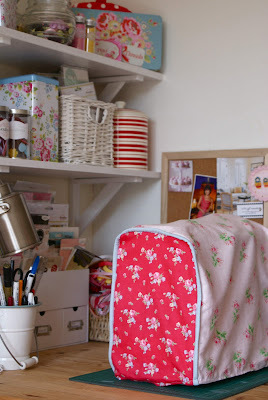 I think it's lovely Jessie and your workspace looks great too. 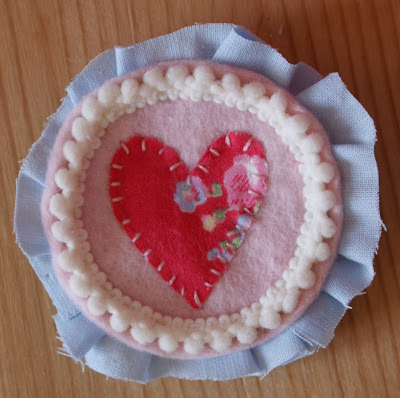 You should definitely sew the heart on! 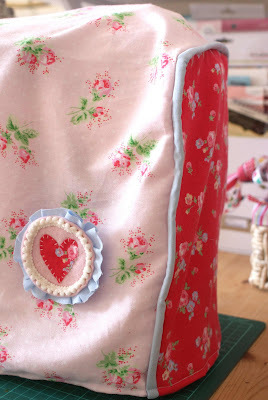 Ooo it's lovely definitely add the little embellishment, it's the perfect finishing touch.